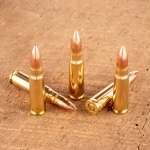 These rounds are loaded in non-corrosive brass cases that are hand-selected for uniformity, weight, and concentricity. 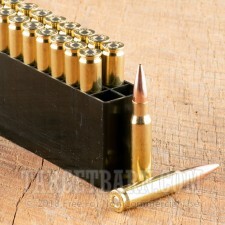 The result is repeatable accuracy, consistent performance, optimal velocity, and long-range dependability. 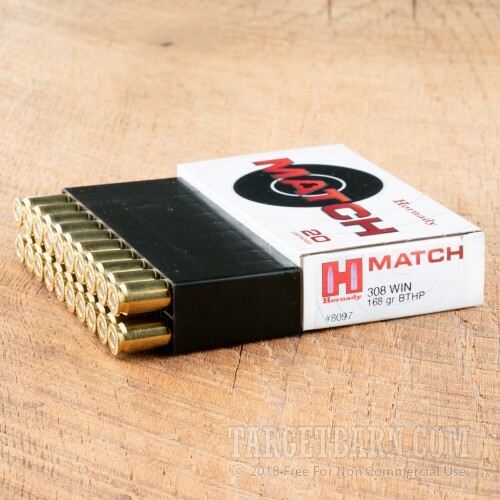 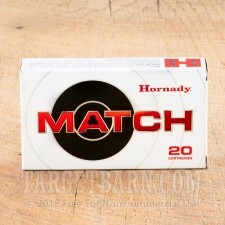 This package contains 200 rounds of Hornady Match 308 Winchester ammunition, each loaded with a 168 grain HPBT projectile. 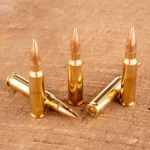 Each round delivers a consistent muzzle velocity of 2700 feet per second and 2719 foot pounds of energy. 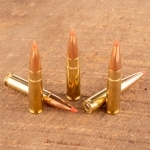 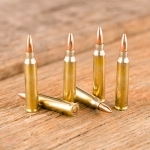 This ammunition is factory-fresh and boxer primed in reloadable brass casings. With unparalleled performance and pinpoint accuracy, these Hornady Match rounds are engineered to meet the exacting requirements of serious long-range competition shooting.